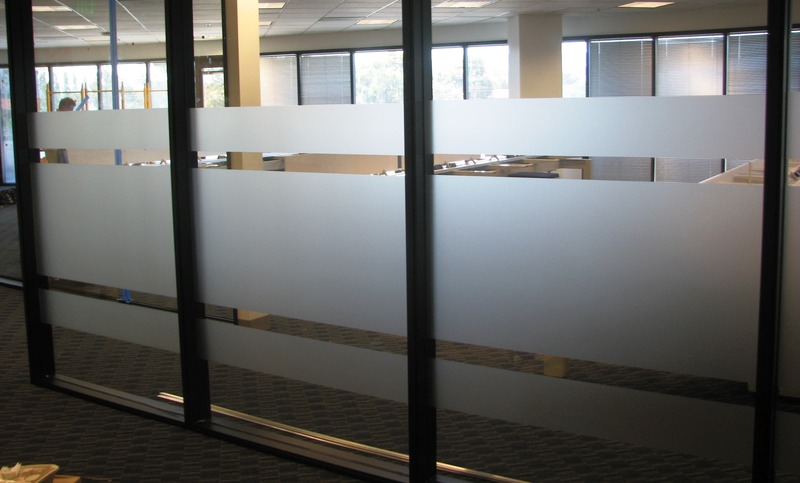 In recent years, more and more companies have been using frost or etched glass film on conference room panels to provide some privacy or outright block views all together. 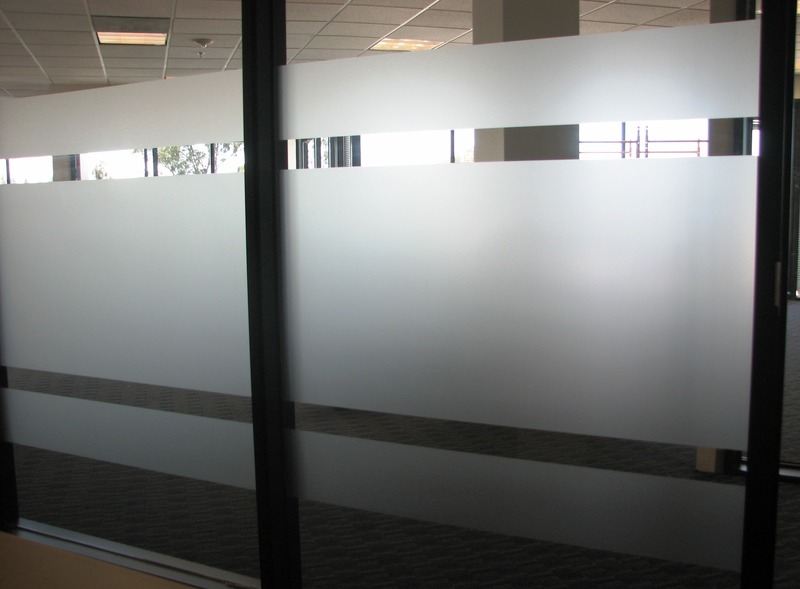 Some of these applications are for companies that do sensitive classified work. 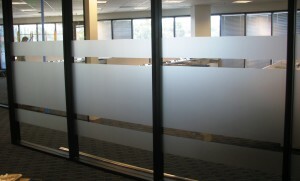 But for the majority, this type of film application provides an aesthetic value. 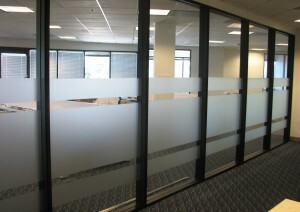 Signs Unlimited has designed, produced, and installed many such film applications for companies in the Bay Area. 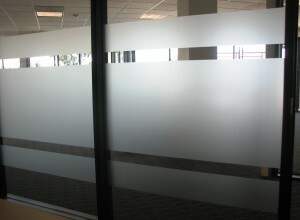 Of course, this frost film is only one form of window dressing. 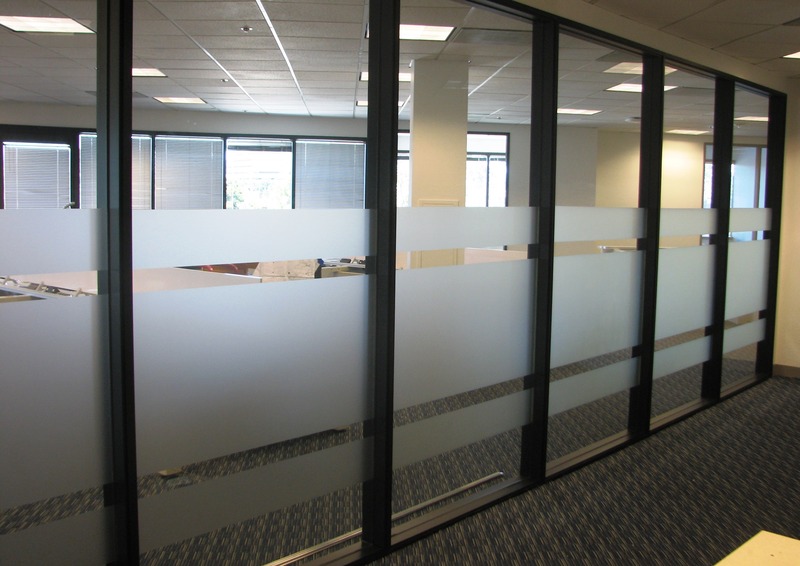 Please call us at 408-224-2800 or email us at sales@esignsunlimited to explore all your options for glass graphics.